St Colmac's is a ruined 19th century church about halfway between Kames Castle to the east and the beach at Ettrick Bay to the west. 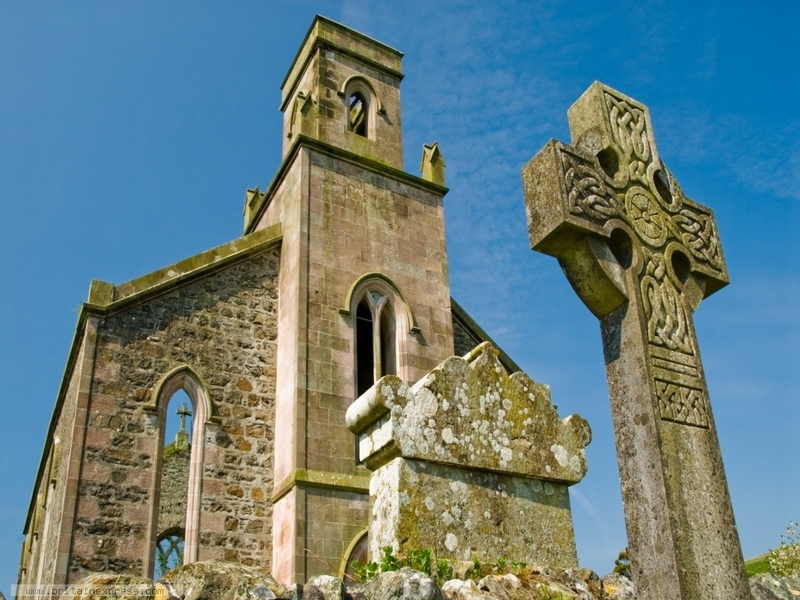 The church was built for the 2nd Marquess of Bute in 1836 to act as a Gaelic church for the north of Bute. It closed in 1980 and now stands roofless and open to the elements. A very short distance away stands St Colmac's Stone Circle. Though not fabulously historic, I thought there was something very poignant about the ruined church with this tall cross in the foreground. This traditional cottage is located in Port Bannatyne, Scotland and can sleep four people in two bedrooms. This cosy, detached cottage is located on the Kames Estate, near Port Bannatyne on the Isle of Bute and can sleep two people in one bedroom.